Airline industry association IATA has chosen lost property recovery service HomingPIN as a Strategic Partner, in an effort to reduce the millions of pounds that mislaid baggage costs the industry every year. HomingPIN uses secure luggage tags which have a unique code linked to the owners’ contact details. Working with air transport industry specialists SITA, the system has been integrated into WorldTracer, operated by 2,200 airports globally, enabling airlines to enter the code to alert passengers to their bags’ whereabouts. 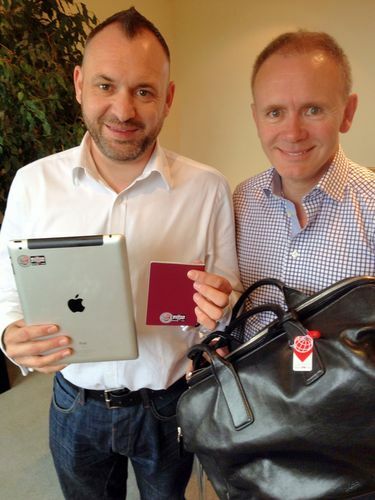 HomingPIN Managing Director Andrew Hopwood explained: “Without any information to identify a bag’s owner, it can take up to six days for airlines to return luggage as they need to match a mislaid bag report with the bag’s description, such as size and colour. HomingPIN puts the owner and finder of lost property together, so that mislaid and lost property can be returned.